A group from theplace2b enjoyed a walk to Schweibert Park on Thursday evening to attend “Take Back the Night”, a rally to stop domestic violence. It was a beautiful night along the river. 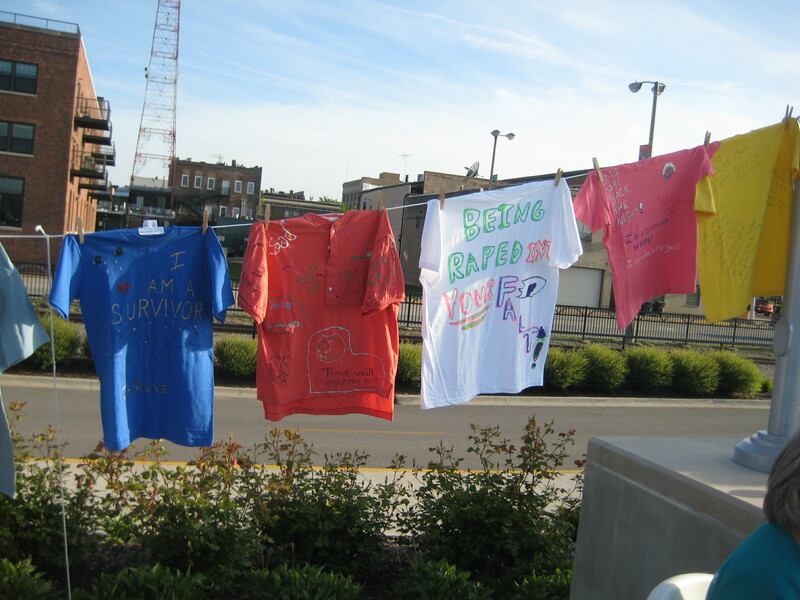 Right away our attention was captured by “The Clothesline Project”, a series of T-shirts hung on clotheslines that were created by survivors of abuse. 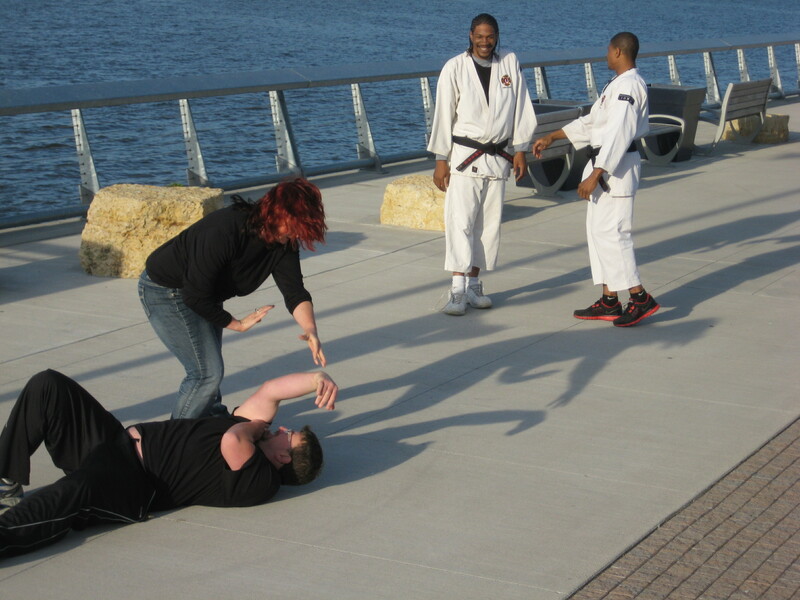 We even witnessed a demonstration on self-defense. Our students were happy to receive some freebies which included a T-shirt, a whistle, and glow sticks. 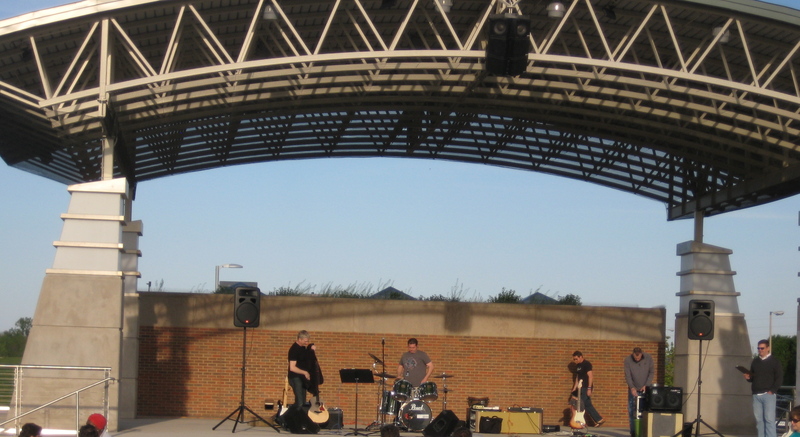 The band “Borrowed Time” gave a free performance. What a great asset Schweibert Park is for the city of Rock Island. We plan to visit regularly as part of our summer activities. Posted by place2blog on April 27, 2012 in Employees/Volunteers, Students and tagged domestic violence, park, self-defense, Take Back the Night. The Eastern Iowa Community Colleges: Clinton, Muscatine, and Scott, presented a Successful Transitions Conference at the Adler Theatre and River Center on Tuesday evening, April 24th. Breakout sessions discussed options after high school, financial aid and scholarships, as well as empty nest and the shift of responsibility. 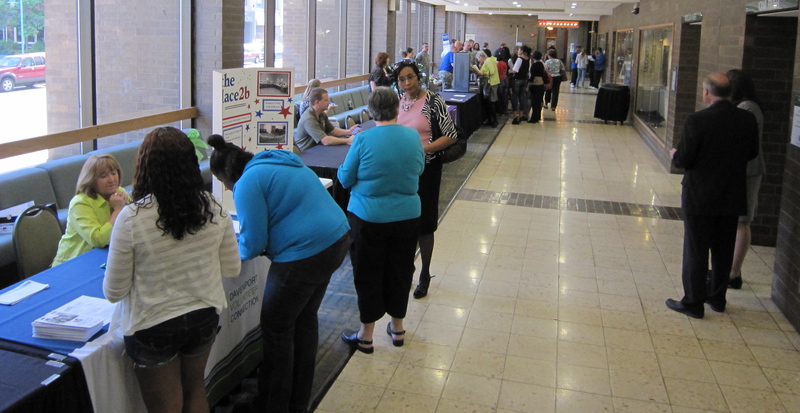 This event also sponsored a resource fair where various booths were present that featured volunteering opportunities, local labor unions that offered apprenticeship opportunities, local college information, The Iowa Army National Guard, and many more. There were 15-20 booths in all. 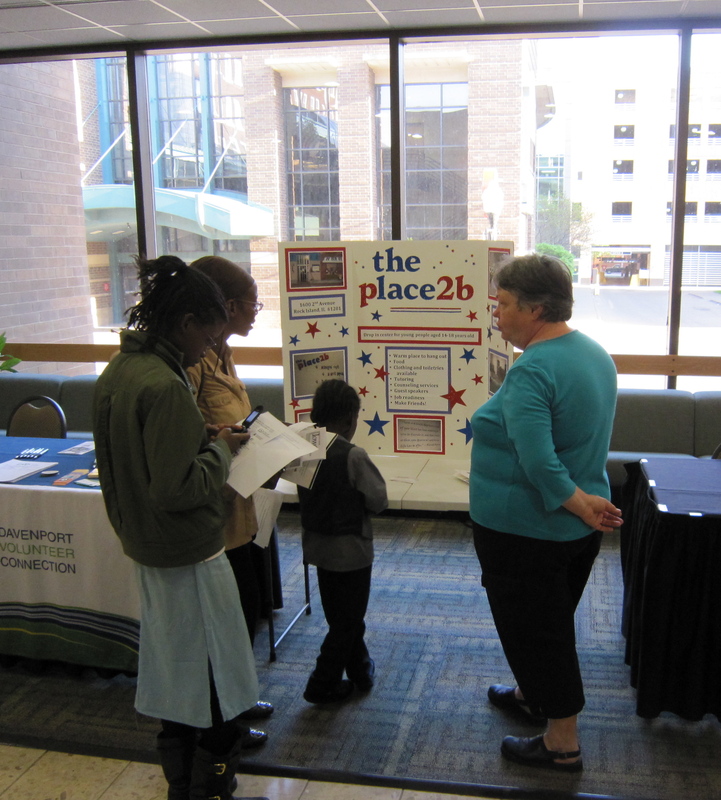 Helen and David Popp manned a booth for theplace2b and many people stopped to talk. They met young and old who were not familiar with theplace2b, but were pleased with the number of people who did know about us. Some inquired about volunteering, and many picked-up brochures and business cards.The Popps came away from the event feeling they had brought the work being done at Theplace2b a little closer to the general public, especially the youth. The main program was “Three Doctors” who have been on Lifetime television and The Oprah Winfrey Show. They are the authors of three books. 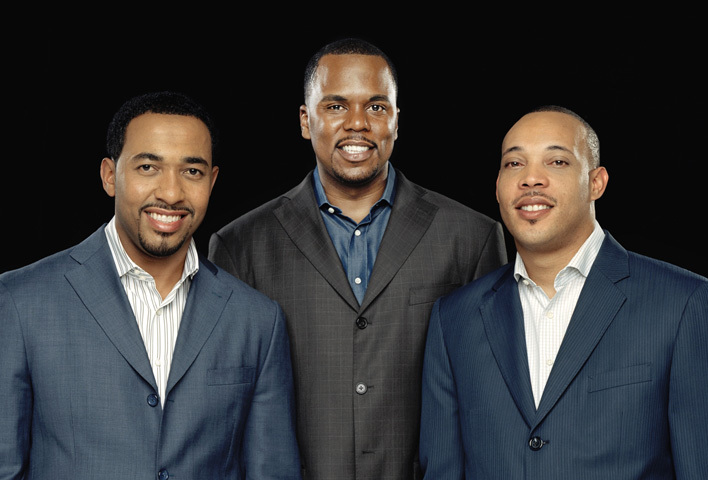 These doctors Dr. Sampson Davis, Dr. George Jenkins, and Dr. Rameck Hunt made a pact a decade and a half ago as three teenage boys from the streets of Newark, New Jersey. They would stick together, go to college, and become doctors. These men told how they overcame obstacles and proudly now wear the title of doctors. Their urgent message of hope and inspiration was to never underestimate the power of self reliance and inner strength. If you attach a timeline and devise a strategy for achieving your goals, you can succeed! Surround your self with like-minded people with similar goals. Their books include: The Pact, We Beat the Street, and their latest book, The Bond. Posted by place2blog on April 25, 2012 in Employees/Volunteers and tagged outreach, success, Three Doctors. Augustana College hosts “Business Day” every year to give students the opportunity to network with local businesses for internships and/or future employment. 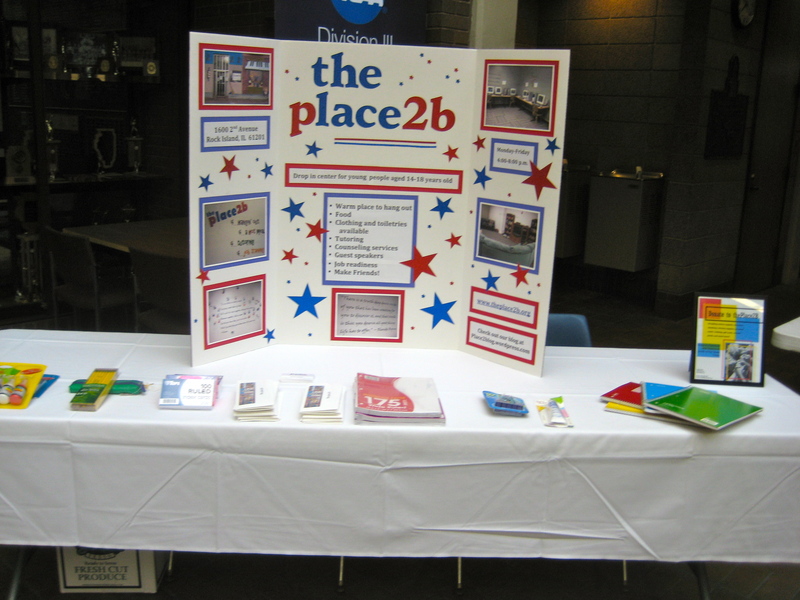 This year Augustana invited theplace2b to set up a table in Carver Hall in order to meet local business people and collect donations, both from the students and the business leaders. I arrived early in order to set up our tri-fold board and some brochures and business cards. Waiting for me on the table, were some donations of school supplies and toiletries that they had already collected. I received a Walmart gift card and some monetary donations. I also met a gentleman from Pepsi who will work with us on some future donations of drinks for theplace2b. Thank you! I was invited to join the students and business people for a delicious breakfast. We listened to some remarks from the President of Augustana College, Steven Bahls. 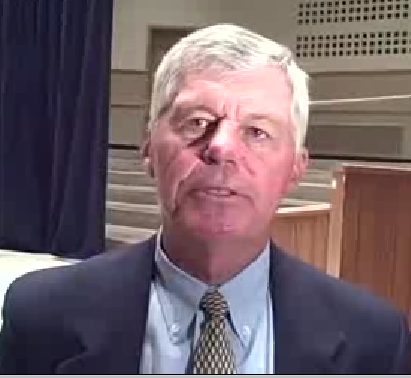 Then the convocation address was given by Ken Anderson, former quarterback for the Cincinnati Bengals and Augustana graduate from the class of ’71. He told entertaining stories from his football career, then threw out some door prizes (autographed footballs)! Thanks to Augustana College for inviting theplace2b to participate in this wonderful event. The program was very interesting, and the donations we received are very much appreciated. The evening before the event, Augustana sent over many other donations of food, clothing, blankets, towels, and toiletries. Thank you for supporting our work at theplace2b. Posted by place2blog on April 20, 2012 in Employees/Volunteers and tagged Augustana College, Business Day, Donations. 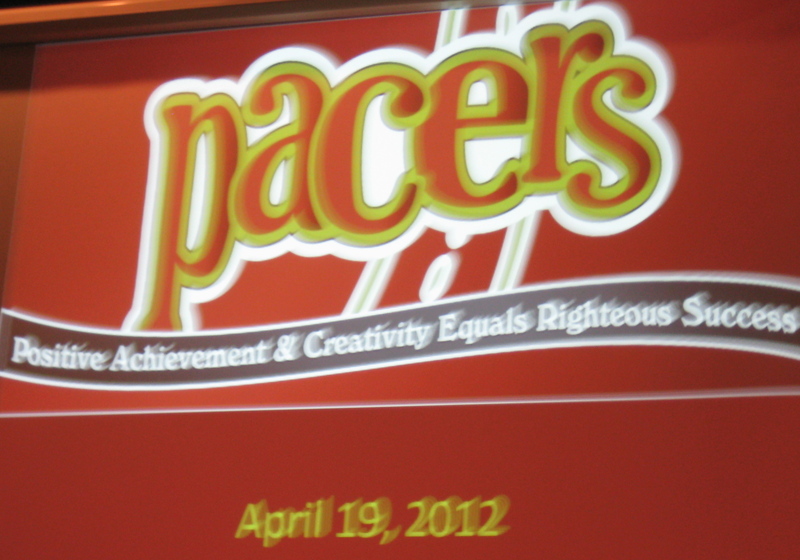 Theplace2b was invited to come to Rock Island High School and talk to their Pacers groups. Miriam covered the class on Wednesday, and Marcia presented at the Thursday classes. After we told the high school students about the many ways theplaceb can offer them support, students were asked to complete a survey indicating which current or potential services they were most interested in. Free tutoring, including credit recovery (Plato) and ACT preparation. We hope to implement a Job Shadowing program in the near future, as well as Leadership Development and Service Learning. If you know anyone who would benefit from our programs, please encourage them to contact theplace2b at (309)786-2030 or stop by 1600 2nd Ave. in Rock Island. Thanks to Rock Island High School and the Pacers program for inviting us to share with them the great things about theplace2b. 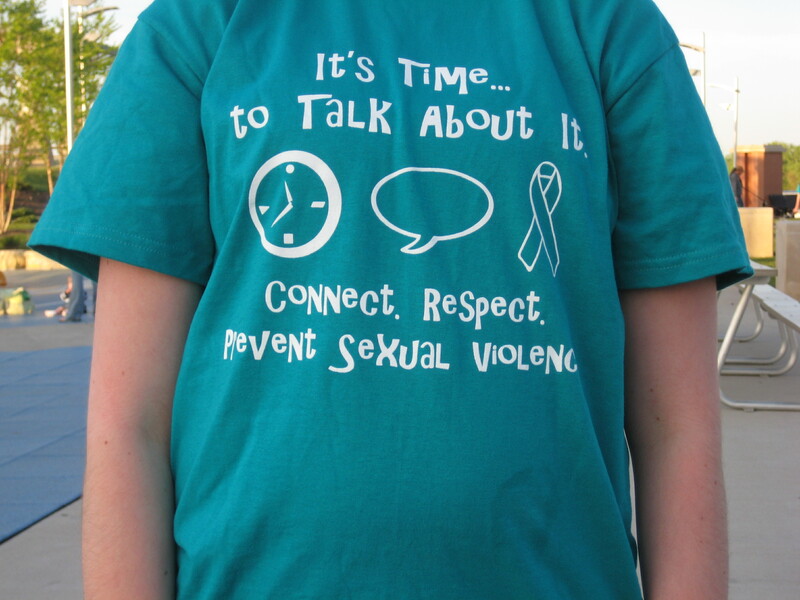 Posted by place2blog on April 19, 2012 in Employees/Volunteers, Students and tagged outreach, Rock Island High School. We said good-bye on Monday to a woman who was an active volunteer at theplace2b daily during its first year of operation. Pam monitored the door, welcoming guests. She also helped serve meals at theplace2b. 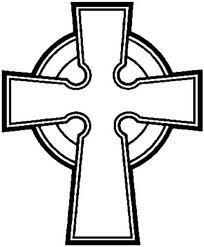 Four staff members and four students attended her funeral at Gloria Del Presbyterian Church in Rock Island, Illinois. Pam Putney grew up in Rock Island and taught school in Rock Island and Geneseo. She was an active volunteer with the girl scouts and Special Olympics. She sang with the Black Hawk College Community Choir. But her lifelong passion was her church, Gloria Del Presbyterian, where she served as an elder and a deacon and Superintendent of the Sunday school. Pam loved gardening, cooking, knitting, and singing in the choir. Mari: Pam was never not awesome. She had a smile every day and was always happy when we walked in. Lee: She brought joy and happiness to theplace2b. Knim: She was kind and welcoming to all the students who came here. Posted by place2blog on April 12, 2012 in Employees/Volunteers and tagged In Memoriam. This year at theplace2b, we were lucky enough to have Rebecca Wrage join us on Monday through Thursday evenings. She is an intern from the St. Ambrose social work program, and she helped out in many ways. Rebecca spent time with our teens. She also helped cook meals and clean up afterwards. Sometimes she helped the students with homework. She was available to help in whatever way she could, and we loved having her with us. Thursday was her last day, so we had a celebration to thank her for her service. As per her request, we had “bacon” as our theme for dinner and carrot cake for dessert. The students made a sign wishing her well. 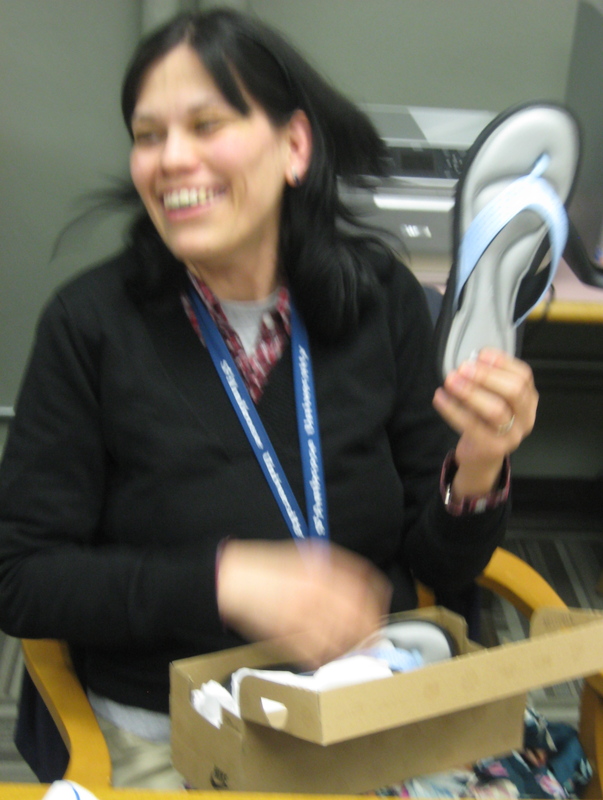 Our gift to her was a pair of Nike sandals with a cushiony sole that makes you feel as if you are walking on a cloud. Hopefully, they will take Rebecca to amazing places as she moves on in her social work career. We wish you well, Rebecca. Good-bye and good luck! 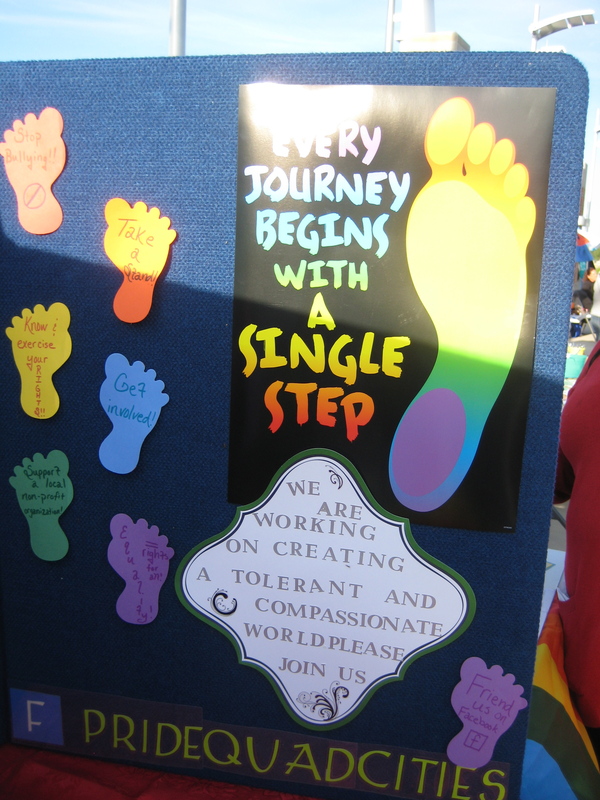 Posted by place2blog on April 12, 2012 in Employees/Volunteers and tagged celebrations. 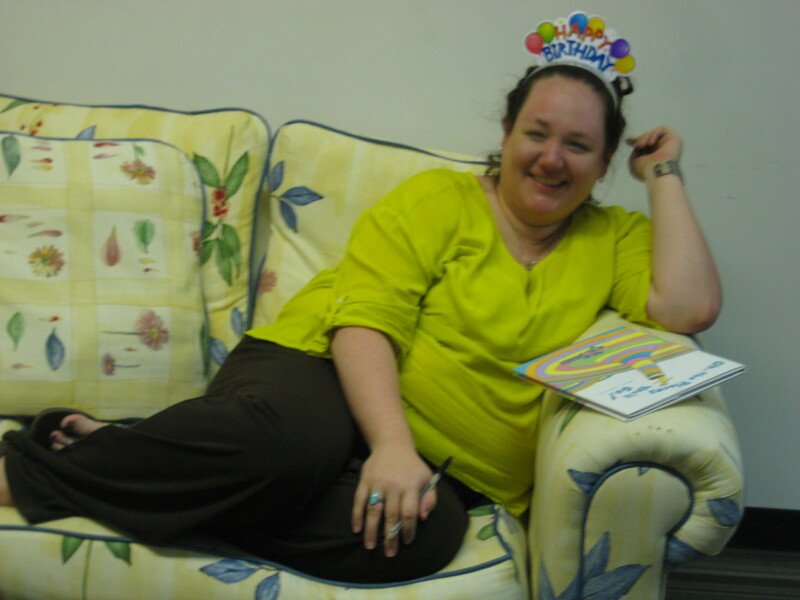 We celebrated Miriam’s birthday in a big way on Thursday, March 29. 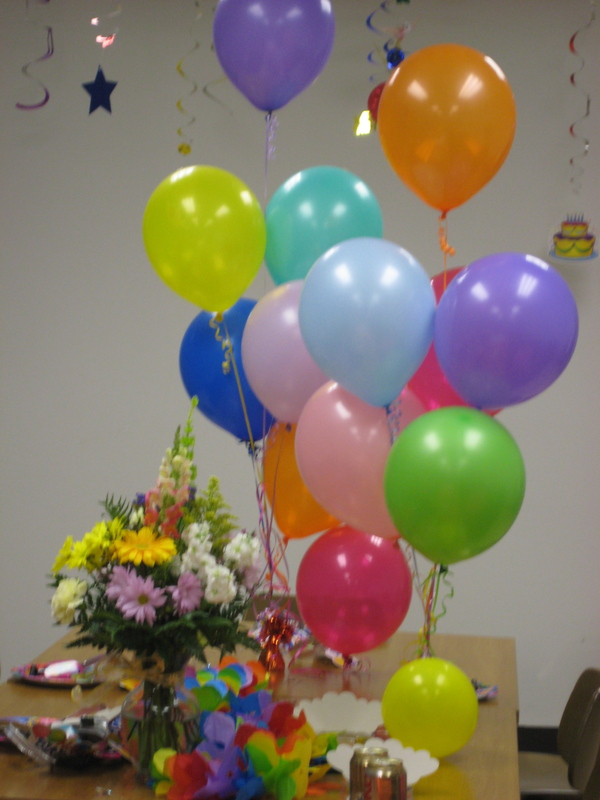 The room was decorated in a very festive way with balloons, flowers, party favors, origami, and confetti. The party began with everyone enjoying “Oh, The Places You’ll Go!” by Dr. Seuss. Mr. Popp brought in a projector so we could view the story projected on the wall. You can view it too; just click on the blue link! Dinner was a delicious selection of foods from around the globe. We had Chicken Satay (Thailand), Swedish Meatballs (Sweden), Eggrolls (China), Pita Bread and Hummus (Middle East) and Chips and Salsa (Mexico). Thanks to Miriam and Cathy for planning and executing this delicious feast. We also enjoyed cake and ice cream for dessert. Miriam’s sister created the cake. 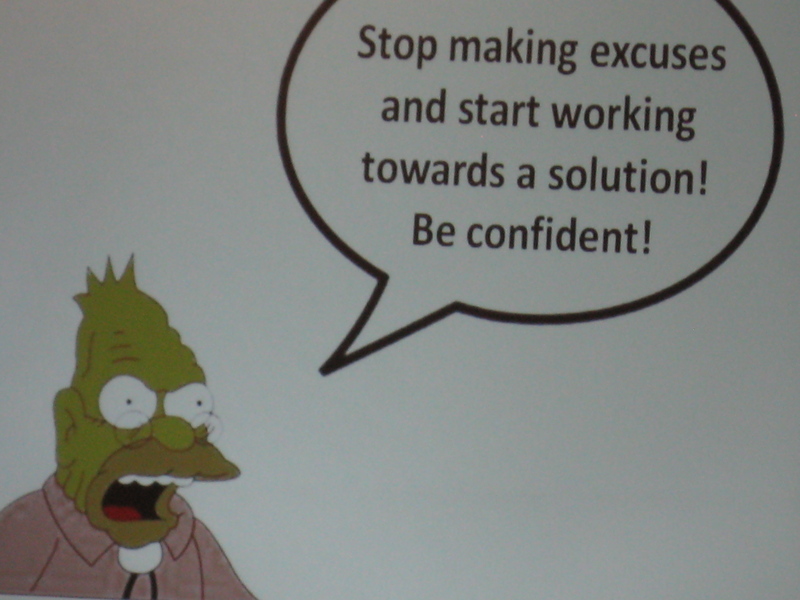 It also followed the theme for the evening. 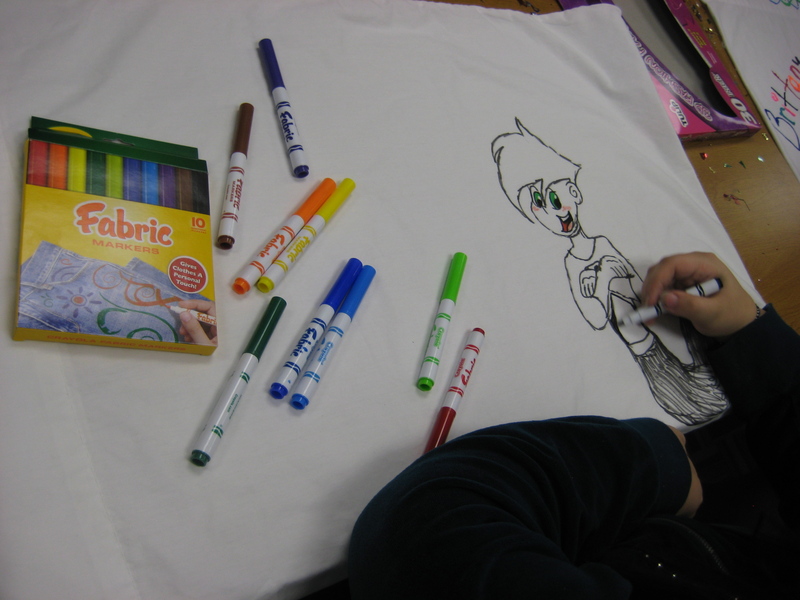 After dinner, each student received a pillowcase on which they could design their own flag. We plan to display all the flags on the railings that surround the kitchen. 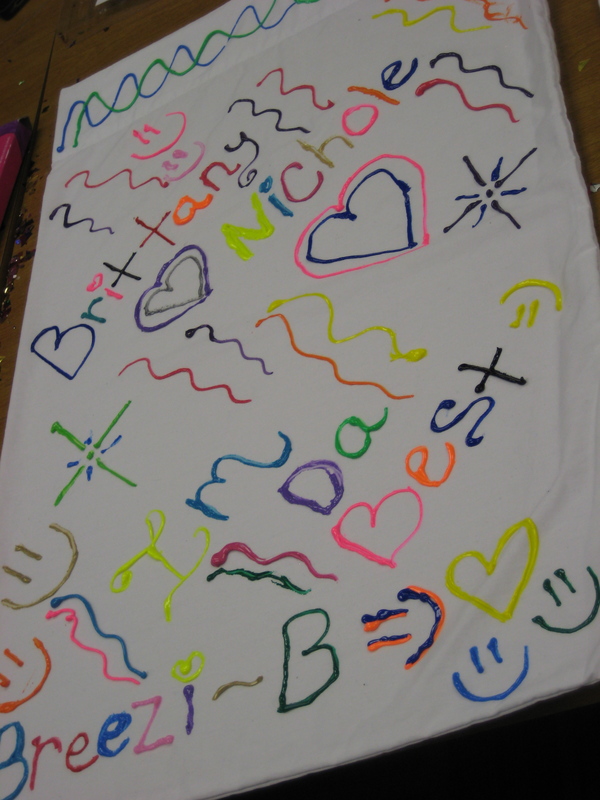 The students’ flags were very colorful! At the end of the party, it was time for presents. Of course, Miriam received some cards from the group, but the surprise was that she gave presents too! 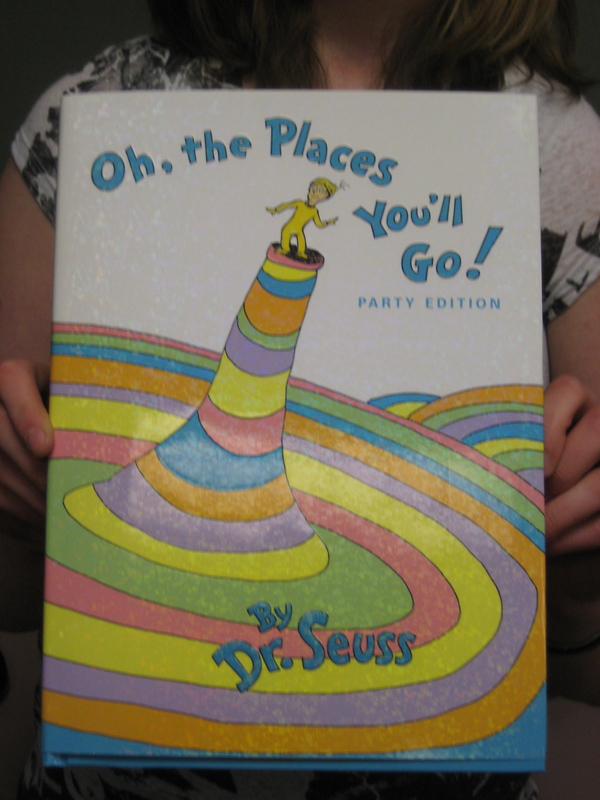 Each student received their own copy of “Oh, The Places You’ll Go!” She offered to sign the books for the students before they left. Happy Birthday Miriam! 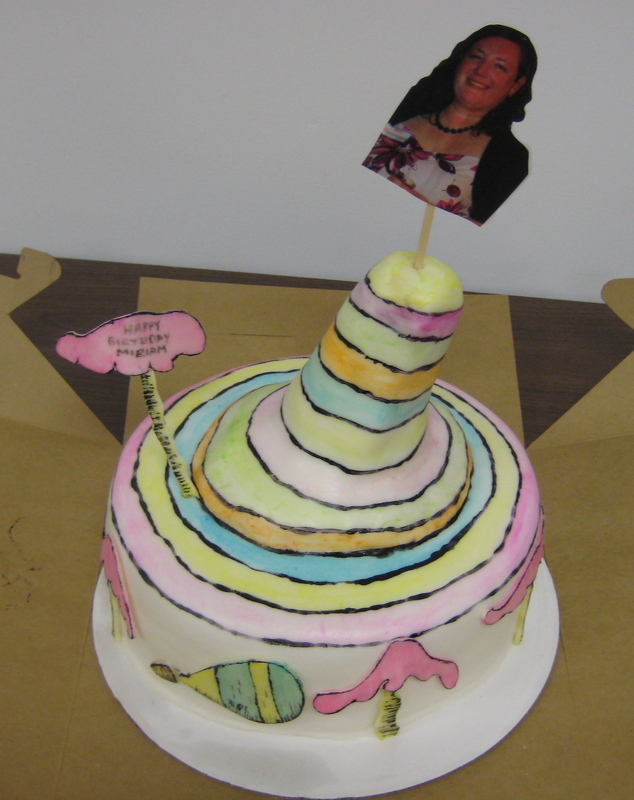 Posted by place2blog on March 31, 2012 in Employees/Volunteers, Students and tagged Birthday Party. 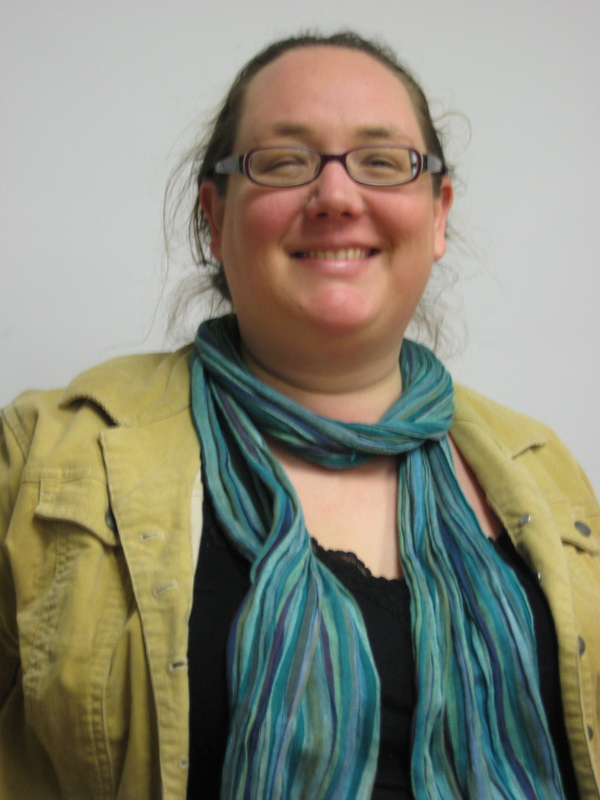 We are excited to welcome Miriam Prichard as our new Associate Director. 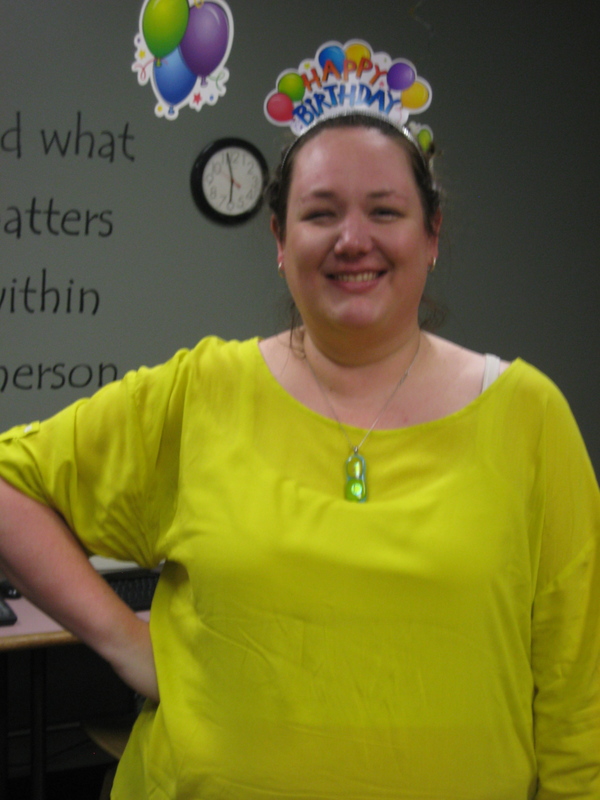 Until now, Miriam has been a valued volunteer, but she recently assumed the position of Associate Director. We look forward to what Miriam can do to make theplace2b a stronger program that will improve the lives of the students we serve. I grew up in DeWitt, Iowa where my parents were both high school teachers. They also still run the movie theater in town. After high school, I took a whirlwind tour of Midwest colleges and earned a Bachelor’s in General Studies from The Franciscan University of the Prairies. I then went to Eden Theological Seminary in St. Louis, Missouri, to pursue a Master’s in Divinity. It was through my internship there as a chaplain at the juvenile detention centers in St. Louis that I realized my calling in working with kids who are considered at-risk. I left St. Louis and moved back to DeWitt. I completed my Master’s in Clinical Mental Health Counseling from Western Illinois University in July of 2011. What do you like most about working at theplace2b? I love seeing the kids grow in small ways. In the seven months I’ve been a volunteer, I’ve watched the kids become more open with their own stories and more trusting of the adults and one another. 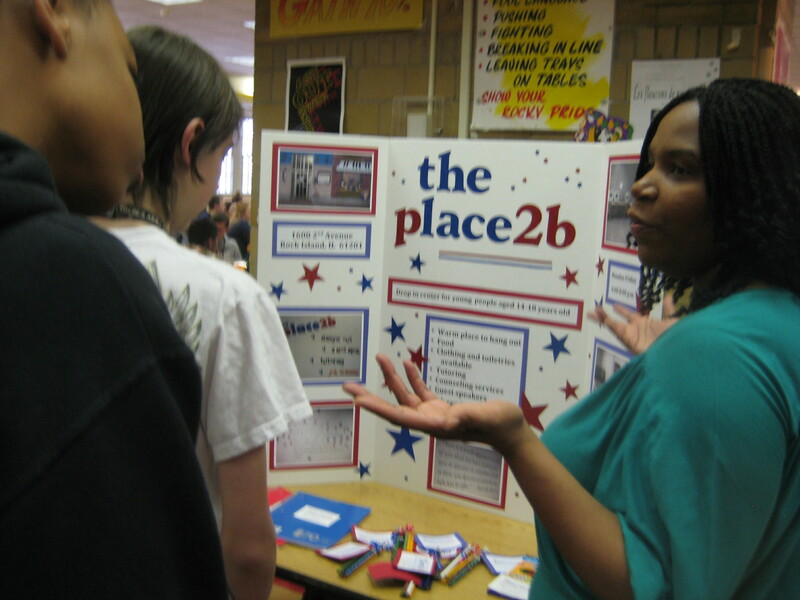 What are some future changes/improvements you would like to see at theplace2b? We need to welcome more kids at theplace2b. 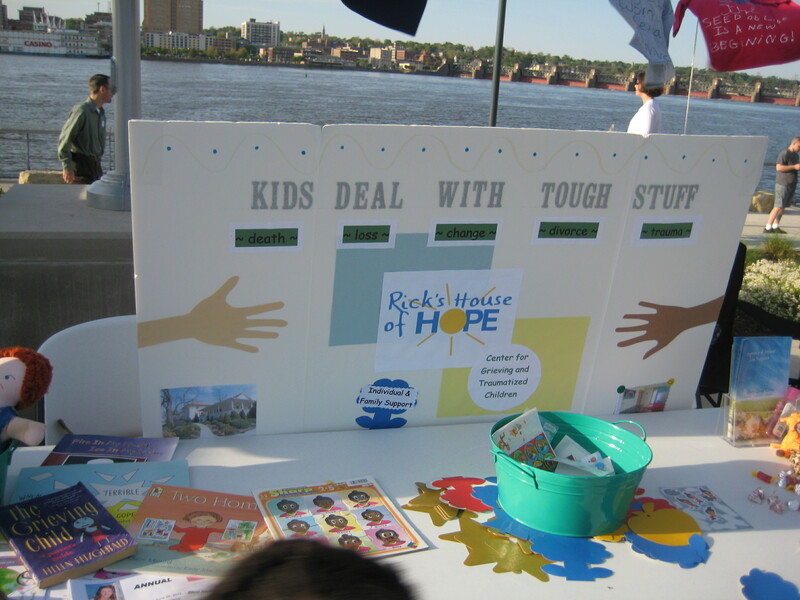 We have great resources for the kids that will make a big difference in the lives of kids we serve. Right now I’m spending a lot of free time knitting. It’s something I’ve done for the past ten years, but I am working on a new project with a deadline. I like to play the piano. I also spend a lot of time with my family and friends. Tell us about some high points in your life so far. My life has been a journey filled with unexpected adventures and blessings. While living in St. Louis, I began rock climbing as a favor to a friend and ended up loving it. Getting to the top of the wall was, and still is, one of my proudest moments. It was also in St. Louis, as a seminary student, that I experienced how powerful community can be. As a result, I have worked intentionally to build strong relationships with my friends and family. These relationships are definitely the best part of my life. Graduating with my Master’s degree is a high point in my life as well because it allows me to do the kind of work I love. 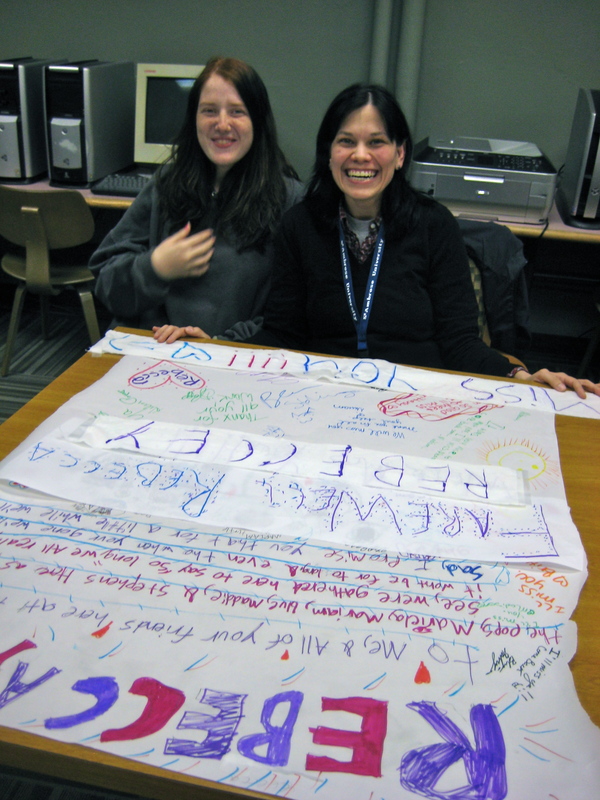 Compare your teen life to the lives of the teens we work with at theplace2b. 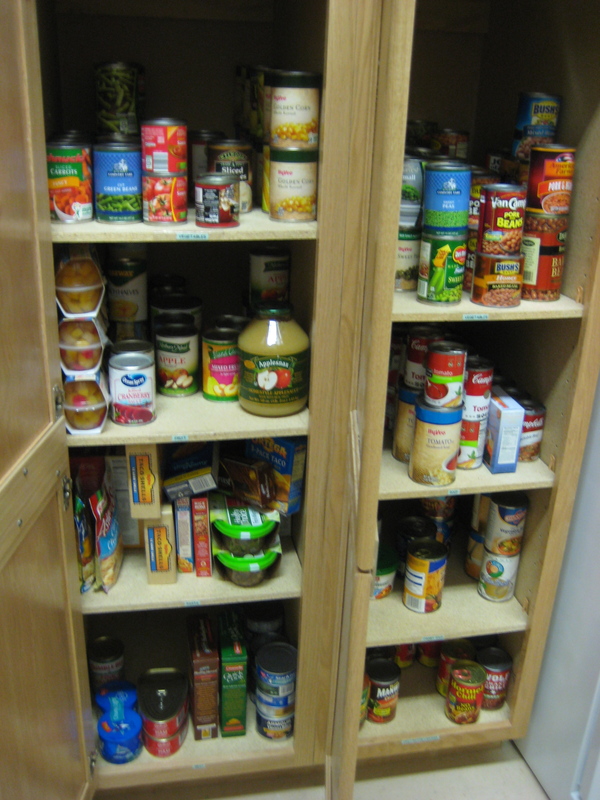 Unlike some of our kids at theplace2b, my basic needs were always met when I was growing up. However, like a lot of our kids, I struggled emotionally and did not fit in well with my peers. Thank goodness the adage about high school being the best time of a person’s life is a fallacy. My life continues to get better the older I get, and I try to impress on the kids that the lives they have now do not have to be the lives they always lead. With age comes more autonomy, and I spend time talking with the kids about making decisions now that will help them get to the places they want to be in the future. Is there anything more you would like to share? I am thrilled to be a part of the leadership at theplace2b. I have been amazed from the beginning at the dedication of the staff and volunteers. Posted by place2blog on March 19, 2012 in Employees/Volunteers and tagged Associate Director, Spotlight on Staff. Teresa, Rebecca, Marcia, Miriam, and Shoma with our display board and some of the free stuff we presented to the students. 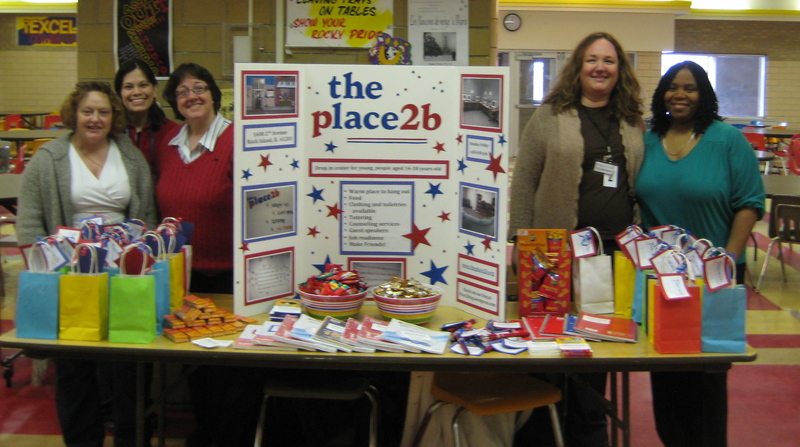 Five volunteers and staff members from theplace2b visited Rock Island High School during their 3 lunch periods on Friday, February 24 to talk with the students and tell them about the excellent programs we have available at theplace2b. They now know that tutoring help is offered. Counseling is available if they need it. Dinner is served. Clothes and toiletries are there too, for students who need the assistance. 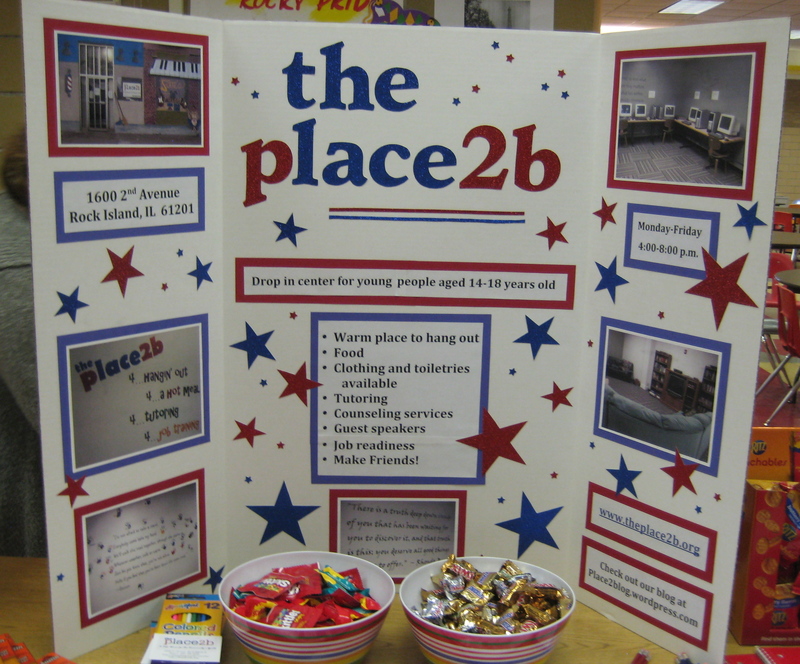 We also told them that theplace2b is a wonderful place to hang out and make new friends. While we talked with the kids, we gave them a card with our address, phone number, blog address, and web site address. We hope that many of them will check out our sites and learn more about what we do here. Along with informing the students about theplace2b, we offered them some free school supplies such as notebooks, pencils, filler paper, and colored pencils. Of course, we brought some treats too! Crackers, pretzel chips, and a variety of candy were eagerly accepted by the students. We were pleased that many of the students seemed very interested to hear about our drop-in center. Many promised to check out our information and tell their friends about what we had to offer. A few even asked if they could come in and volunteer themselves, in order to help other students. We were pleased with the enthusiastic reception we got at Rock Island High School. The staff was friendly and welcoming, and we enjoyed visiting with the students. Hopefully, some of them will stop by 1600 2nd Avenue in Rock Island and check out theplace2b. Posted by place2blog on February 24, 2012 in Employees/Volunteers, Students and tagged outreach, Rock Island High School. It’s Great to Have a Kitchen! We are very much enjoying our new kitchen! Not only does it look great, but it is wonderful to have freshly made food on site. So far the students and volunteers have enjoyed spaghetti with meat sauce, tacos, lasagna, hot dogs and macaroni and cheese. 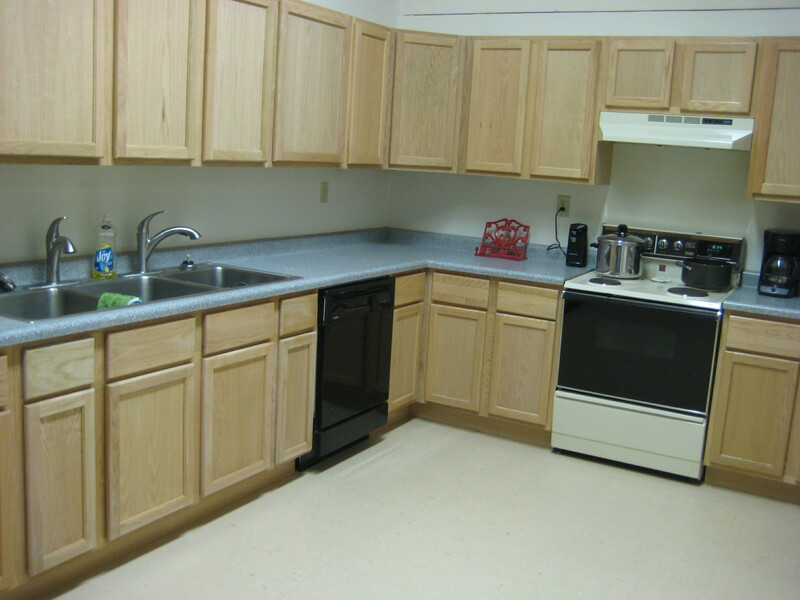 All of these delicious meals were made in our kitchen at theplace2b. 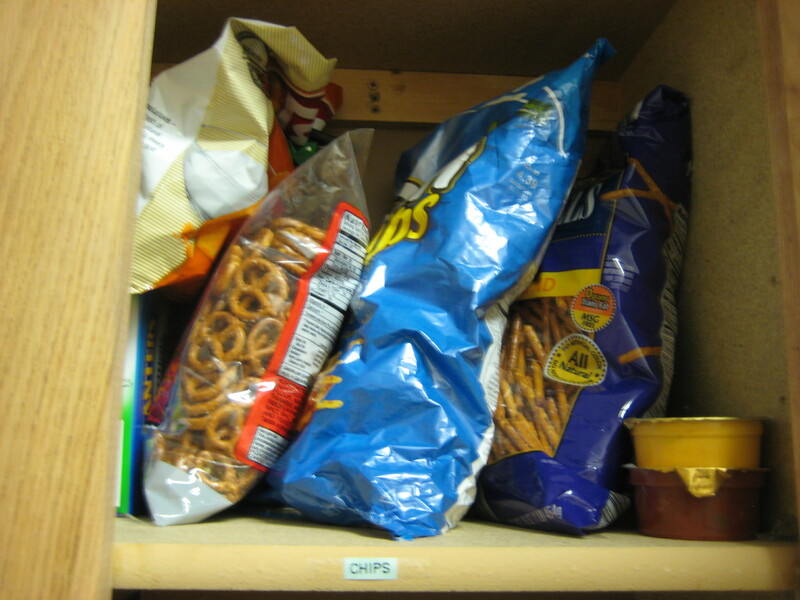 We have a pantry filled with fruits, vegetables, pasta, and crackers. 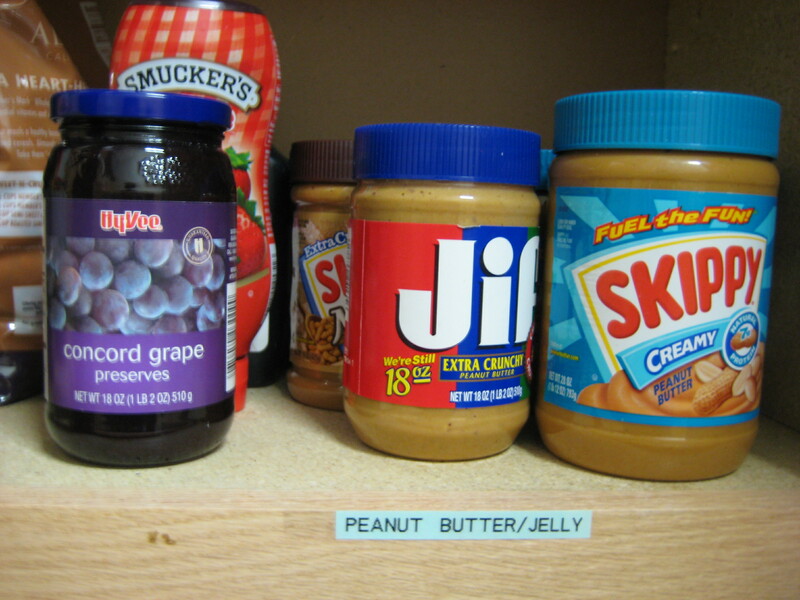 It is very well organized, with each shelf labelled so when we add new purchases, it’s easy to know where items should be placed. We did the same thing with the food in our kitchen cabinets. The students are getting involved in the cooking too! 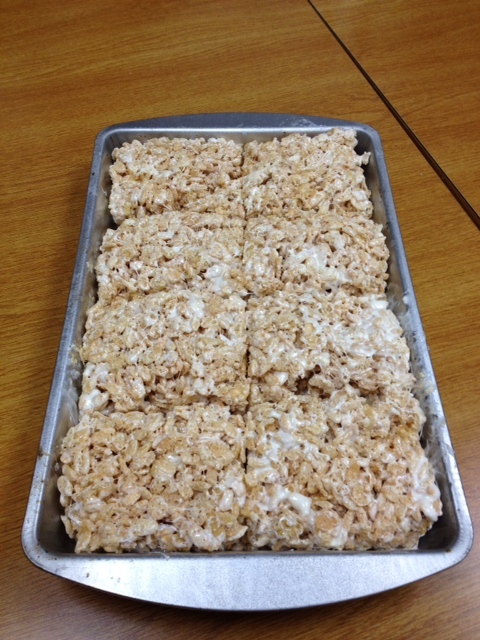 Lee, a student at theplace2b made a batch of Rice Krispie Bars, with some guidance from Marcia, our educator. His finished product was “delicious, gooey, and good”. The clean up afterwards is much more efficient too. We went from washing dishes in the bathroom sink to having multiple sinks and a dishwasher! 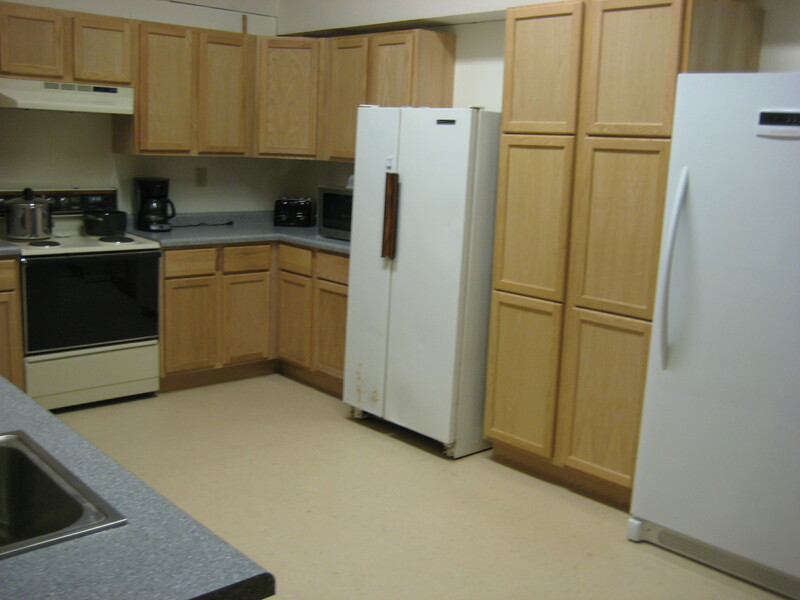 Thanks to everyone who helped make our kitchen a reality. It is an asset that helps make theplace2b even better. Posted by place2blog on February 21, 2012 in Employees/Volunteers, Students and tagged Cooking, Food, Kitchen, Rice Krispie Treats.